In this video I go through the components that are part of a solar power solution. 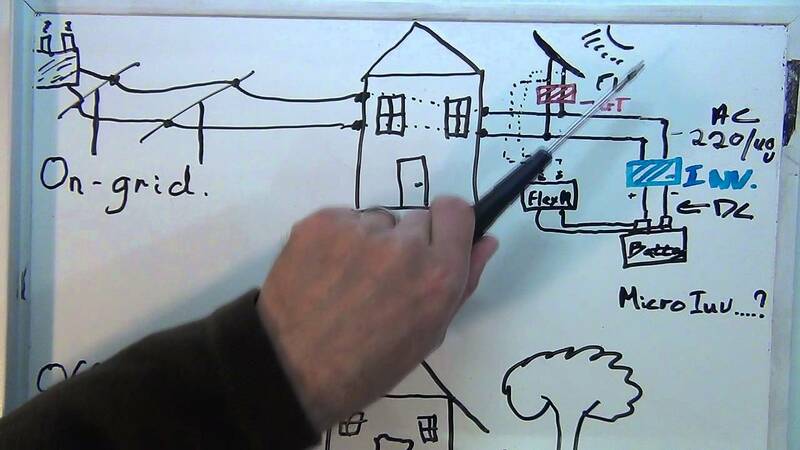 I explain the differences between On-grid vs. off grid. * The battery bank will be 8 x 150 Ah lead crystal batteries. * What is "the Grid" – On Grid vs. Off Grid? * What is the best type of solar panel to install? * Do I need a battery bank….what battery technology should I use? * A look at the different type of inverters? * How much solar power do I need – sizing the array? * Measuring your energy consumption with energy meters. * Is solar power / energy financially viable in South Africa? How long does it take to pay off? * Does power factor play a role in solar generated power. * Solar Power for your Home – "Free Electricity"? * Can I run my house entirely from solar power? Post a comment on anything else you would like to see covered. +jgyrwa What was the result of the course you were doing? credits) your extra power at like 1/3 the cost they sell it to you. +John Fowler I said most major cities, not all cities. sell it at $0.11 atm). So yeah, stfu if you can’t post the truth. as their own and it does not generate nearly as much power as advertised. It also set up a bunch of fake review sites giving itself good ratings. UTUBE for letting me watch this video. For oldy like me lt is a eye opener. Anyone know the efficiency of a fixed angle solar system? From what I’ve read solar panels are at best 10 -18% efficient. of the time isn’t the efficiency about 5 to 10%? power now. Thanks you very much sir.